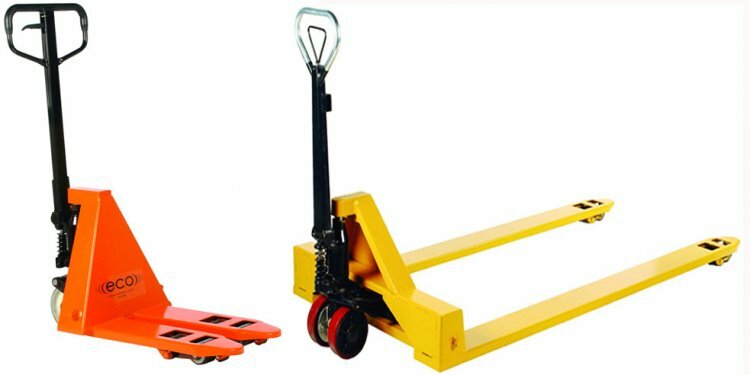 Our high lift pallet trucks, lifters and pallet tilter trucks can help your operation run more smoothly and efficiently. With weight capacities as high as 6, 600 pounds, our adjustable pallet trucks can meet your most demanding, heavy-duty warehouse or industrial needs. Many of our trucks come with a three-year pump warranty and can be lowered and raised to varying heights. In the case of our deluxe foot pump model pallet truck, a five-year pump warranty is included. Our specialty trucks include our drum pallet truck, engineered to help eliminate operator strain, and our stainless steel pallet truck, intended to resist the effects of corrosive solutions. Be sure to check out our line of manufacturers that offer the highest quality products you'll find, including Wesco pallet jacks and Koke pallet trucks. With names like these, you'll know that you have the most reliable product for all of your heavy lifting needs. You can also order high-quality scale pallet trucks with LCD display scales, high lift pallet trucks, and pallet trucks with hand brakes. Browse through our online catalog to find the Wesco pallet jack, adjustable pallet truck, or heavy duty pallet jack that meets your industrial or warehouse needs. Give us a call if you have any questions.